New Conditions For Elections To Hold In N/East Nigeria. President Goodluck Ebele Jonathan, yesterday, summoned the Chairman of the Independent National Electoral Commission, Prof. Attahiru Jega, and Security chiefs to a closed door meeting at the State House, Abuja. The meeting held on the subject of the forthcoming March 28th presidential elections lasted for over 5 hours. 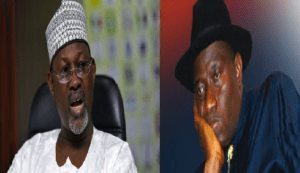 Emerging from the meeting, INEC boss, prof JEGA made comments suggesting the uncertainty of the polls conduct. The INEC chairman when asked about the outcome of the meeting, responded “I believe it (the meeting) went well.” When question on INEC’s plan to use card readers during the elections was thrown to his direction, he simply declined to answer. 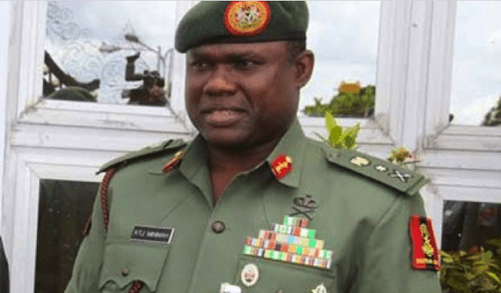 Also commenting on the outcome of the closed door meeting with the president, the Chief of Army Staff, Lt. General Kenneth Tobiah Minimah, said particular sections of the country including Borno, Adamawa and Yobe States may not participate in the election. He claimed they could only vote when the structures of governance there are reinstated as the military is working towards removing every trace of the Boko Haram insurgents in those regions so the people could return home. On whether the security council discussed the forthcoming elections in the meeting, he declined to comment, passing the buck to the INEC chairman. The meeting had in attendance, the Nigerian Vice President Namadi Sambo, Secretary to the Government of the Federation, Senator Anyim Pius Anyim; Chief of Staff to the President, Gen. Jones Arogbofa (retd. ); National Security Adviser, Col. Sambo Dasuki; Attorney-General of the Federation, Muhammed Adoke (SAN); Minister of Police Affairs, Jelili Adesiyan; Minister of Interior, Mr. Aba Moro; and the Minister of Foreign Affairs, Ambassador Aminu Wali. Others in attendance were the Chief of Defence Staff, Air Chief Marshal Alex Badeh; Chief of Army Staff, Lt.-Gen. Kenneth Minimah; Chief of Naval Staff, Vice Admiral Usman Jibrin; Chief of Air Staff, Air Marshal Adesola Amosu; Inspector-General of Police, Mr. Suleiman Abba; as well as the heads of the Department of State Security and the National Intelligence Agency.